iPhone 7 is latest device from apple. As we already know that Apple launches there flagship devices every year and everyone goes crazy that what will apple provide innovated in this year. Apple made many changes in iPhone 7 compare to its previous successor iPhone 6s. There is no big change but minor changes is made with new iPhone 7. Take a look at quick specifications then we will discuss more about the new iPhone. Moving to the display, The iphone 7 bears a 4.7 750*1334p IPS display which comes with Ion-strengthened glass, oleophobic coating protection. Apple claimed the the display of iphone 7 is 25% more brighter than iPhone 6s. The new Retina HD display on iPhone 7 also integrates 3D Touch like iphone 6s but with great improvements. There was rumoured that new iPhone could have been sports a curved display but apple made them false by adding normal IPS display. Apple iPhone 7 comes with improved design. but In a world of curved eye-popping displays, the iPhone now looks a little old-fashioned. It’s slim and attractive and still very well-designed, but the iPhone 7 looks just like the iPhone 6 and 6S. Apple smoothed out the seams that used to hide the phone’s antennae, so the aluminum around the back looks smoother. The camera bump is larger, by just a bit. There is color which apple added is jet black which gives you attration to buy iPhone 7. Apple also redesigned the home button.You won’t wear down the button, though, because it doesn’t move. Overall design and build quality is great. Apple stick with 12 MP camera as we already seen in iPhone 6s. 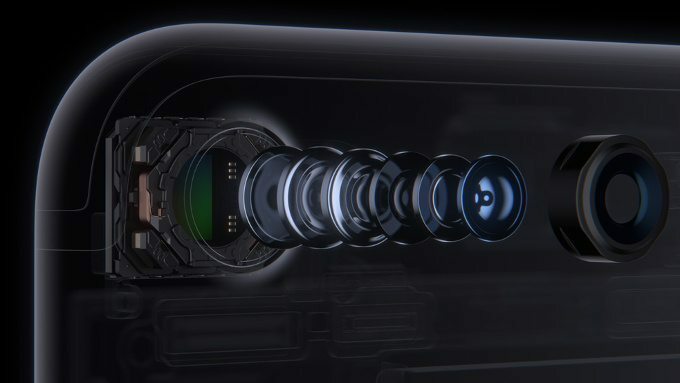 But the big upgrade over iPhone 6s is OIS (optical image stabilisation). The slightly wider f1.8-aperture lens also lets in more light for low-light photos. OIS and that new lens both make a difference in everyday shots.The 12-megapixel camera’s other improvements, including a new ISP for other image improvements, might be too subtle for casual point-and-shooters to appreciate. The four-LED flash is brighter, and helped light up a room so well I could even shoot a barely passable photo of the darkened room next door. Note that Live Photo slows down the shutter speed, so turn it off for faster shots. Apple upgraded front facing camera to 7 MP which was 5 MP on iPhone 6s. It seems great for selfies and videos. So iPhone made great improvements over iPhone 6s in terms of camera quality. iPhone 7 is powered by Apple’s new chipset Fusion A10. Which is 2x faster than Apple’s previous generation A9 chip according to Apple. iPhone 7 also comes with improved software optimisations. Apple Introduced new iOS with lot new features. Performance always superior on all the iPhones because of their great software optimisations so it does not matter which chipset is apple adding. For storage, there are three variants: 32, 128GB and 256 GB coupled with 2 GB of RAM. Apple also improved Siri by adding plenty of new features like proactive suggestions, Listen to and identify songs, Use your voice to send messages and lot more. Finally, we have got water and dust resistant iPhone . This not new thing for smartphones because there are so many android phones which added this feature. But this is whole new thing for Apple. 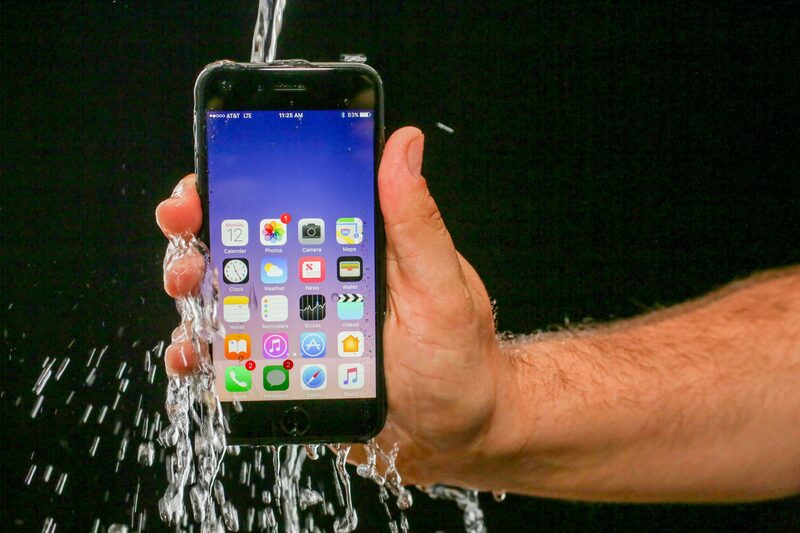 iPhones 7 comes with water and dust resistant- IP 67 rating. This does not mean that you can swim along with your iPhone but it can servive up to 1 meter and 30 minutes under water. Apple also warns that any dip in salt water should be followed by an immediate rinse in fresh water. And also, you have to dry your phone for at least a couple of hours before charging. 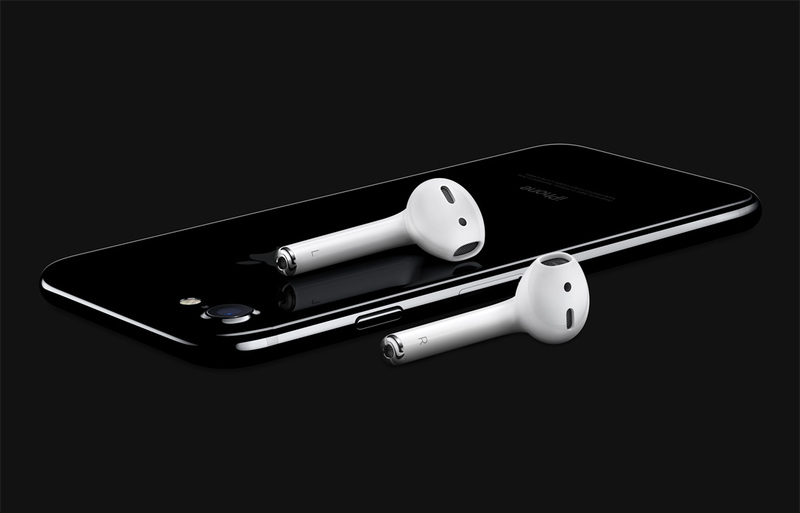 Apple Improved Sound and Multimedia experience with new iPhone 7. However apple removed 3.5 mm jack which is downside for many but it does not matter a lot. iPhone 7 comes with EarPods that have a Lightning connector. But if you still want to listen through your old headphones, you can plug them in using a 3.5‑millimetre headphone jack adapter, also included. Apple also introduced new wireless AirPods which would cost you around $159 (approx. Rs. 11,000). There are Stereo speakers included, enough to enhance the sound quality to next level. Bettery life is major issue with iPhones. iPhone 7 adopted slighty bigger battery than iPhone 6s. There is 1960 mAh battery packs inside iPhone 7. We can’t expect long run but still there are some improvement in hardware so it should have been batter battery life then iPhone 6s. You must have to pay somewhre if you want sleek design. There is no fast charging support as well so it should have take up to 2-3 hours charge time as we already seen in old iPhones.